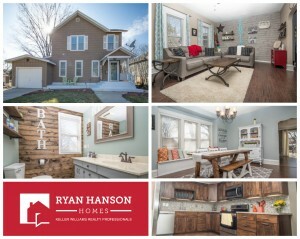 FIRST LOOK at beautifully updated 3 bedroom, 3 bath classic two story home in Fergus Falls! Don’t miss this beautifully updated 3 bedroom, 3 bath classic two story home in Fergus Falls. Home features eat-in kitchen with Alder cabinets and stainless steel appliances, formal dining room, main floor laundry/bath with claw foot bath tub, large master bedroom with walk-in closet, finished lower level, central air, composite deck, and so much more!